We made simple boats from apples, bananas, and pears. We cut them in half, stuck a toothpick near the back, and cut out some fruit leather to make a sail. Now that we’ve learned the letters b and d, I decided to introduce this trick to help my daughter remember the direction each letter faces. If they are having trouble figuring out if the letter is b or d, I will ask them to hold up their hands and make a b and d and say “b sees d”. After I taught them the above trick, I had my youngest color in the “b sees d” printable included in the packet. We added faces to make it more fun–and to look like they were really “seeing” each other! This is the most simple game, but we played it for a while! Color and cut out the “boats” included in the download. Roll a die (or two if you want to practice addition) and put that many boats in the water. My 4-year-old just drew her “best boat” on the printable letter b a few times! Making oobleck is a favorite activity around here. It’s just fascinating…and even more so when you can put your dolls feet into it. We had a great time experimenting! What happens when you push the doll into the Oobleck quickly? What happens if you push the feet in slowly? I received a copy of The Reading Lesson: Teach Your Child to Read in 20 Easy Lessons a few weeks ago, and I’m using that….along with our Eye Spy wands to teach my youngest to read! Go on a Color Scavenger Hunt for the color red. Play a Parking space game (use boats, too)! Try this Dancing Raisin experiment. 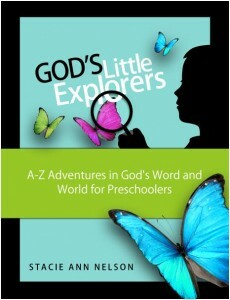 Download God’s Little Explorers Week 17 Lesson Plans. I recently found your blog. I wish I would have found it sooner! I started doing letter a week back in Sept with my 4 and 2 year old girls, but haven’t been very consistent with it. We have a 4 month old and also moved 4 months ago also so we’re still getting settled. Anyway, lol, I started using the “normal” uppercase A-Z method, but I like this so much more! Using lower case letters makes so much more sense. Since we haven’t gotten very far overall in these few months, I think I’ll go back to the “beginning” with x (I love the treasure map idea!) and then pick and choose a theme that might go along with the current month, week, etc. The good thing is my 4 year old, who has only recently become interested in learning letters, is surprising me with how many of them she already knows! And she’s very interested in their sounds now. I still want to reinforce everything with some type of letter a week fun though. Just wanted to say, thanks for sharing all of your hard work! Just be sure when you do make the Oobleck to be sure to throw it away when you are finished with it and NOT dump it down the drain- or you’ll be calling the plumber. I also learned putting food coloring in it was a bad idea as well, the kids had blue hands! But it is a lot of fun to play with and worth making. Ooh! Good suggestion! I’ll be sure to add that to the post. We threw ours away in the trash! We have been working through this preschool program and we are really enjoying it. Our son LOVES music and art, so we love doing that part of the lesson especially. I like that you have plenty of suggestions so that if one thing doesn’t work for us, we can easily substitute something else in for it. 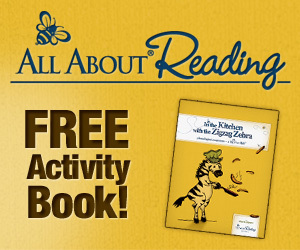 One question – do you happen to know of any good resources for learning about Jackson Pollock? I didn’t see anything listed, but I may have just missed it. Thanks for all you do.